The Kiawah event really wasn’t a MOGSouth Club event, but with the number of MOGSouth club members showing cars or just attending made it seem so. The show field was adjacent to a golf course but didn’t appear, to me anyway, to be on an actual part of the course. No sand traps or greens to avoid. And the weather was superb. Cool, in the low seventies. A perfect day to look at classic cars and enjoy nature. Not really a Concours so a bit less formal. Less stress. I liked it. More of high end cars and coffee. But it was a big show. They shut down registration at 280 cars. I can understand the appeal. Kiawah Island is a jewell. Overhanging trees and winding roads that give way to marsh lands and open water. Very, very scenic. The Morgan marque was well represented on the field, with four 4 Wheelers, and two new Three Wheelers. We brought the Series 1 Drop Head Coupe Pre Production Prototype up from Florida and John Bigler brought down his eye catching 2 Seater Series 1 with Cycle fenders. I was in the British Group but John was grouped with the Race Cars. Must of been the knobby tires as spares?? Gives off that ‘hill climb’ aura. Having two Series 1s on the same show field is pretty special. The other two 4 Wheelers were a wonderful yellow Moss Box Plus 8 (with an engine? swap) and Don Smith’s later model Roadster (2012/2013??). This Roadster is not one of the 2005 bunch, rather it is the product of Dennis Glavis’ efforts out at MorganWest. Very pretty car. There were also several other MOGSouth members there that showed cars other than their Morgans. Gordon and Sue King were there but chose to show their GT40 recreation in the Gulf Oil Livery and a wonderful Porsche 356. Robert and Rosalind Minkhorst were also there but the Plus 8 stayed in the garage while Robert showed his wonderful Triumph 2000. A number of other MOGSouth club members, not showing cars, came by. Ken and Pat Kreuzer came down from Summerville, SC. Mark Lloyd (a friend of the club without a current Morgan) was there. Lee and Trisha Gaskins from Spartanburg, SC came by to say hello. A few awards (ribbons) were given out. Mostly Clubs awarding their own members or celebrities (Dennis Gage was there) identifying cars they liked. Then we all dispersed for the afternoon. Andrea and I put the DHC into the trailer and we took the trailer back to the hotel parking lot. We left it there and went over the Minkhorst’s lovely home for an ‘after show’ beer. Their home is on Kiawah Island with lovely views of the water and surrounding marshlands. According to Robert they are in Kiawah more frequently than in their home in Atlanta. I can certainly understand why. Then it was back to the hotel to get some rest. We had an early morning to make the run back to Orlando, with a lunch stop to see the Bernaths in Jacksonville. A busy weekend but really good fun!! Highly recommended to those with a yearning for the South Carolina Islands. PS. See you in Nashville next week. 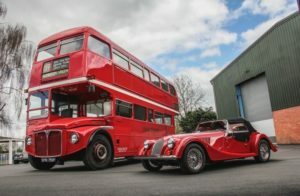 Morgan Motor Company plans a special way to celebrate the 50th anniversary of its Plus 8, displaying one of the last active Routemaster buses, also produced in 1968, alongside its own historic vehicles at various events in 2018. “The Routemaster bus is arguably one of the most iconic vehicles in existence, it serves as a symbol of Britain and is part of our national identity,” Morgan’s managing director Steve Morris said in a news release. “It therefore gives us great pleasure to continue the life of one of the last decommissioned buses as our event space. The car company acquired the bus, the next to last that was still in service, earlier this year. The bus traveled more than 1.5 million miles during its working life, Morgan said. The last Routemaster in active service resides at the London Bus Museum at Brooklands. Routemasters served British transit passengers from 1956-2005. The Morgan Plus 8 roadster was built from 1068-2004 but was put back into production in updated form in 2012. Morgan’s bus — SMK 759F — is being refurbished in-house at the Morgan company in Malvern, UK, in preparation for its use as Morgan anniversary events this year. 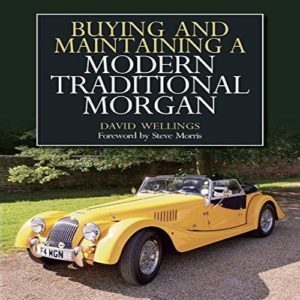 The new Morgan book, “Buying and Maintaining a Modern Traditional Morgan”, by David Wellings, has just come out, and it is terrific! While most Morgan texts deal with the history of the company that we all know, David writes about innovative ways to tweak your Morgan to make it more “you”. He concentrates primarily on the 1997 – 2018 models in the traditional line, but many of the ideas apply to any age of our 4-wheeled trads. He writes briefly about buying a new versus older model, and provides one with good reasons for both. 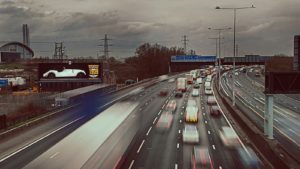 He underlines the major factor in buying a car – Never buy one without actually looking at it and driving it! Other chapters deal with practical aspects of maintaining your Morgan and making it better, including ways to “keep the rain out”, protecting the wings and body tub, how to and where to select and fit various accessories, adapting the Morgan suspension, making yourself a tool tray (giving many how-to pictures), and how to construct different types of undertrays and front valances, among other ideas. The book is packed with 192 pages of pictures as well as commentary. For example, David tells you how to cure the Morgan whistle (which I never knew existed! ), and what type of hammers to use for various things. It is a well-deserved addition to any Morgan owner’s library, and will be spending much of its time out in my garage with my car! 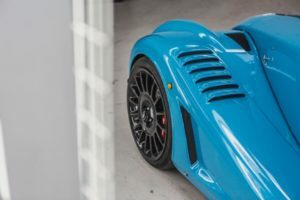 At this year’s Geneva Motor Show in March, British sports car manufacturer Morgan showed off its latest limited-run vehicle – the Aero GT – and only a few weeks later, the first example has been built. Just eight units of the swansong version of the Aero 8, which has been in production since 2001, are set to be made and this is the first. It’s finished in Miami Blue paint, and is heading to Revolutions Morgan in Perth, Scotland, where it will be collected by its new owner. Powering the Morgan Aero GT is a BMW-sourced V8 engine, delivering 367bhp to the rear wheels via a six-speed manual gearbox. It’s capable of 0-60mph in 4.1 seconds with a top speed of 170mph possible. To help keep that power to the ground, the bodywork has been heavily revised from the Aero 8 – with the GT taking inspiration from Morgan’s GT3 racing efforts in 2009 – to produce more downforce. Each car is also fitted with adjustable suspension, while a carbon fibre roof is available as an optional extra for those looking to shed more weight.